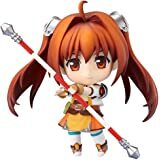 With a dozen games released over the past 20 years, The Legend of Heroes is a mainstay of Japanese RPGs from pioneering game developer Nihon Falcom. Now, the gorgeous character art from the newest games in this legendary series is collected in this prestigious volume. Included in this collection are rough sketches, character artwork, expression charts, and more from The Legend of Heroes: Trails of Blue, Trails of Zero, and all three Trails in the Sky chapters. 5.0 颗星，最多 5 颗星A bit pricy, but a good book for fans of the series. 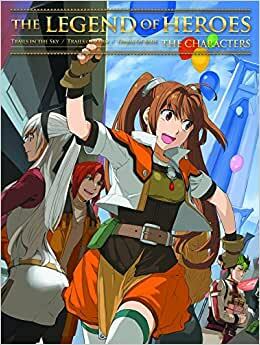 This book compiles the concept art for Trails in the Sky 1-3, and the as of yet Japanese-exclusive Trails to Zero and Trails to Azure. Each of the main characters gets roughly 3-4 pages to themselves, with character art, along with the illustrations used in the opening movies and design notes. It gets fairly informative, especially with Estelle and Joshua's Second Chapter costume changes, going into the personal reasons for their new looks. If I were to list the negatives, the only things that come to mind are that it spoils a bit too much without reason, and that there weren't enough design notes. I would've really liked to hear the reasons for Schera's new costume in Trails in the Sky the 3rd. But those are rather minor gripes.